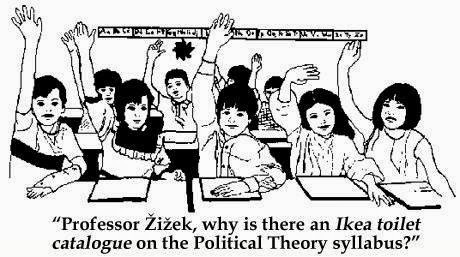 I must admit that in all of my years of as a student, I never once heard a professor utter the phrase “critical theory.” Perhaps this was merely a product of my chosen fields of study. As an undergraduate majoring in history with a concentration in the Ancient Mediterranean, I encountered little social theory, and the little to which I was exposed was generally presented implicitly. After all, it proves difficult enough for an undergraduate to grasp the basics of Ancient Greek and Roman political institutions, much less how modern scholars have framed the historical record. Furthermore, religious studies, despite its best attempts to the contrary, tends to more often privilege essentialist perspectives, which emphasize coherence and historical continuity. Yet, over the years, I nonetheless acquired the habit of practicing “critical theory,” the recognition that the categories by which we organize our world utterly remain products of the time and space in which we are immersed. And it is the practice of critical theory, of course, that touches the central aim in this blog. How do we, as teachers, cultivate the practice of critical theory inside and outside the classroom? Max Horkheimer suggests that critical theory seeks “to liberate human beings from the circumstances that enslave them.” In revealing our most basic assumptions as historically constructed, we become capable of making different choices and, so the argument goes, can improve our circumstances. However, I want to emphasize that, as instructors in the humanities, we can leverage critical theory pedagogically (without necessarily labeling it as such) to facilitate some of the most effective, nuanced learning moments in the classroom. For example, as a graduate student in religion, I routinely have taught introductory courses on informal logic for undergraduates. One of the skills that students found particularly difficult to grasp was the differentiating between the “validity” of an argument and the “soundness” of its conclusion. While “validity” merely indicates that an argument is logically correct, “soundness” can only describe an argument that is both logically correct and true. Not only must we evaluate the “soundness” of Rudolph’s claims, but we also get the opportunity to ask ourselves: what assumptions are we making to declare that his justifications for resorting to violence are, indeed, false? In the end, we find that determining truth from falsehood, right from wrong, or sound from unsound is no easy task, and that it can never be divorced from the social, the historical, and the political location of the key players, including ourselves. This is critical theory. This entry was posted in Dennis LoRusso, Pedagogy, Uncategorized and tagged Ancient Mediterranean, Eric Rudolph, Max Horkheimer, Practicum: Critical Theory. Bookmark the permalink.